A new school year is underway and Box Top collecting is in full force. Here are 5 easy ways to contribute to your child’s classroom with a simple clip, rip, or snip! Can you believe the first day of school is right around the corner? Let the countdown begin! Summer was fun but it’s going to be nice getting back into the swing of things again. This year is going to be a busy one, but I’m excited for what’s to come. Last month I officially completed my degree and have been preparing to get back into the working world full-time. It’s a transition that I’ve been eager to make but I’m going to miss having a flexible schedule when it comes to Toodie. In past years I’ve been able to attend all of her school events, volunteer regularly, and help the teacher when needed. I love being active in her education, even if I can’t physically be there. One of the easiest ways to lend a helping hand and contribute to the classroom is to collect Box Tops for Education. At 10 cents a piece, the earnings go towards costs associated with purchasing new technology, books, supplies, and much more. 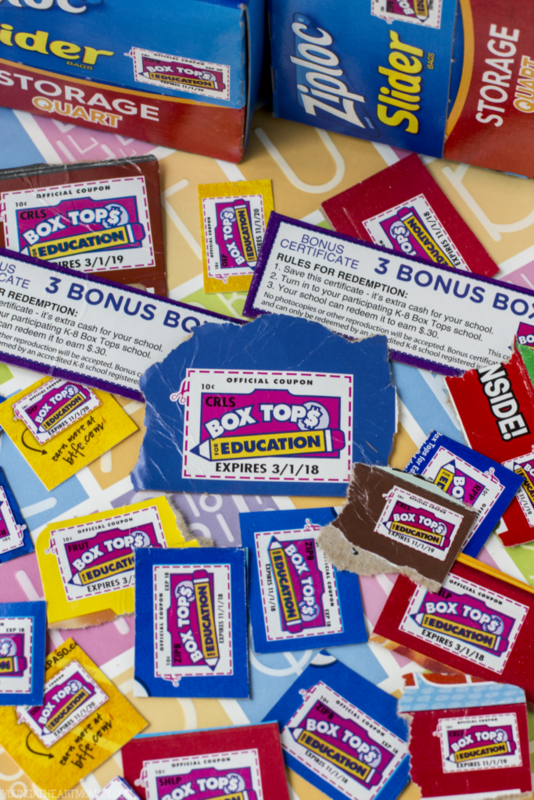 Check out these easy tips to help you get a head start on Box Top collecting! Collecting Box Tops should be a group effort! Enlist the help of family and friends. Get them involved by sharing what products they can be found on and how their small contribution can make a huge difference. Since our PTA usually sends home a collection sheet in the beginning of the year, we make a few copies and give them to family to put on their refrigerator. This is a constant reminder to check empty boxes and clip before tossing into the trash. Persuading them with a batch of cookies doesn’t hurt either. 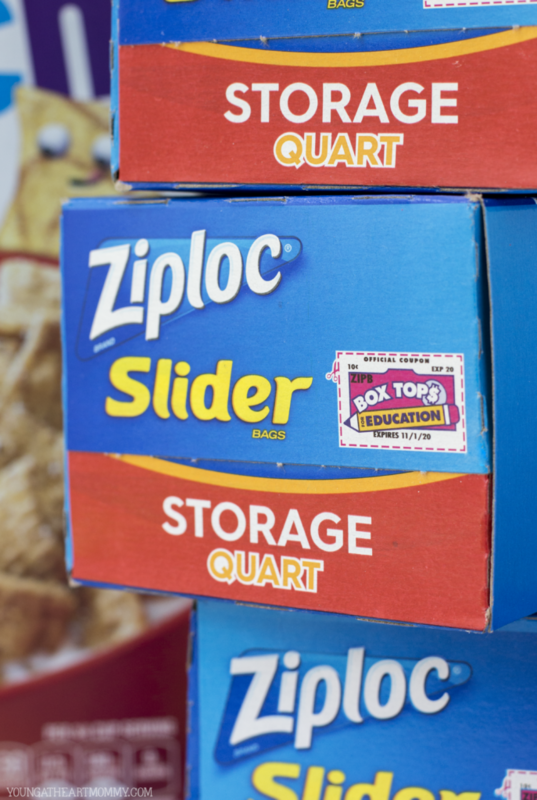 Summer is the BEST time to start skimming your groceries for Box Tops. With the kids home for roughly three months, parents are taking regular trips to the store to stock up on essentials like cereal and snacks. It’s never too early to clip and getting a head start can benefit your child when collection sheets starting coming home. Most schools offer prizes or small rewards for students that turn them in each quarter. The early bird gets the worm. Well, in this case they get the Box Tops! Make sure to purchase eligible products that have Box Tops labels attached to their packaging. They can be found on many food and household items that you probably already purchase. These include General Mills cereal varieties, Kleenex® Tissue Bundles, Ziploc® Freezer Bags, and many others. If you have trouble remembering all of the brands that qualify, the official Box Tops for Education site has an awesome master list to reference. New products are always being added. Another way to grow your Box Top stockpile is to clean out and purge your pantry. Toss out any expired products and make room for all of the Back to School snacks. Use this opportunity to organize, clip, and collect during the process. You’d be surprised how many are found by doing this once or twice during the year. 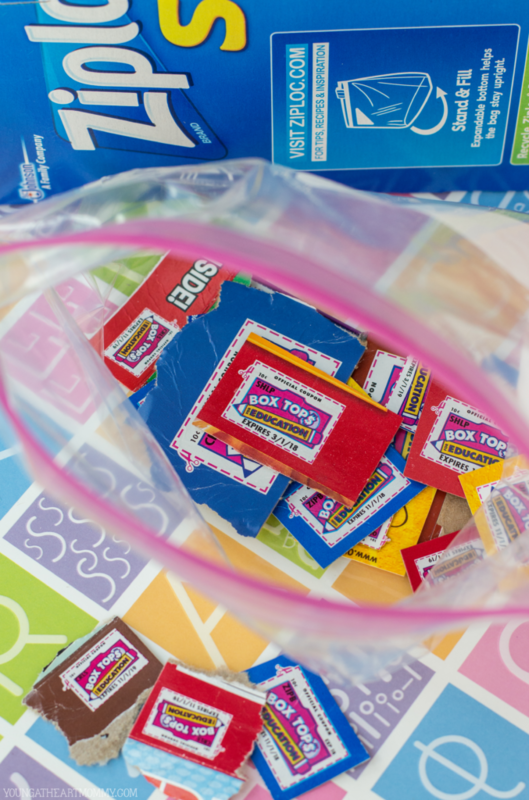 They can be easily overlooked and thrown out so doing a quick sweep each month will ensure all Box Tops make it out safely! Costco has made it easier than ever to contribute to your school of choice with their Inspire Imagination Box Tops program and sweepstakes. 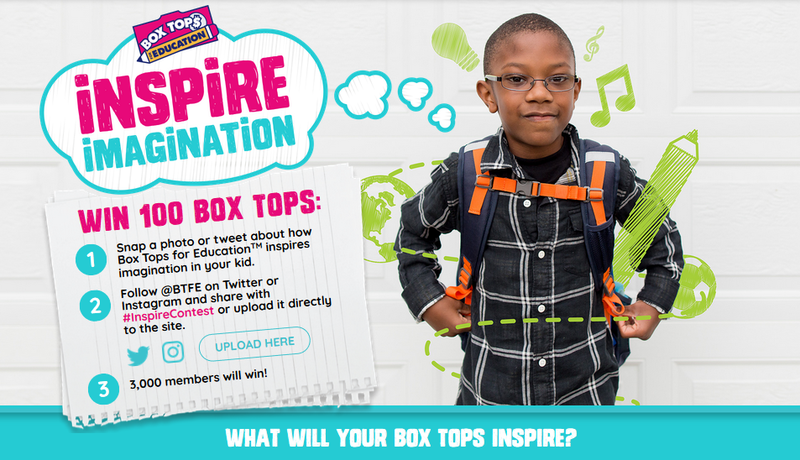 Snap a photo or tweet about how Box Tops for Education inspires your child to be entered to win. There are many prizes and 3,000 Costco members will win 100 Box Tops each. All you have to do is follow @BTFE on Twitter or Instagram and share your snapshot with the hashtag #InspireContest. You can also upload your photo directly to the website here. * Sweeps will not include/do not engage in e-box tops. 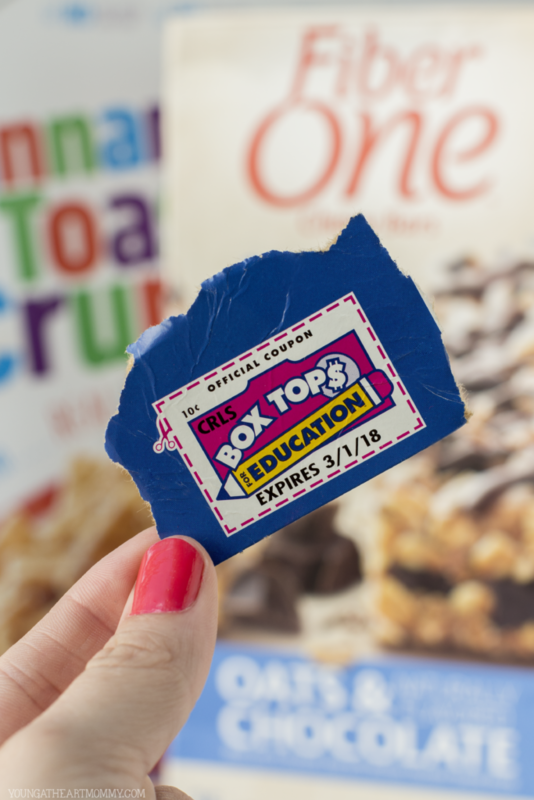 What are your favorite ways to collect Box Tops for Education?